Finding Hope in "Luke Cage"
The night of the election, I went to bed, but I couldn’t sleep. When I did drift off, I was jolted awake by nightmares. I was worried – I am still worried – about racism, sexism, ableism; about nuclear war and climate change and religious intolerance. The list never seemed to end, and it left me tossing and turning. The next day, I woke up in a pall of anger and depression. I had expected to feel disappointed, but the betrayal I felt was so deeply personal, it surprised even me. How could the country I love diverge so much from truth and justice and love? How could I be left feeling so lost? I spent the day scrolling through social media, trying to reconcile what had happened. I read messages about how we must finish the grieving process as fast as possible – messages that, rightly, encouraged those who felt betrayed by their country to stand up and fight against forces of hate and ignorance. But, I confess, I couldn’t rally. I felt, for the first time, that what I’ve chosen to do with my life – to write about important issues and, in so doing, to try to change people’s lives and this world for the better – was perhaps not working. I’ve believed for a long time that our country was choosing progress, choosing what is right over what is easy. How could I have been so wrong? Was I wrong about this fight, too? I stayed in that bubble of despair all day, even after my partner got home from work. We were both quieter than usual, and when we did talk, it felt disjointed, scrambled. At one point, we sat on opposing couches with our head in our hands, trying not to sob. What have we done? we both asked, out loud and to ourselves. But then he began making dinner and looking at shows to watch on Netflix – going through the motions of normality. “What about Luke Cage?” he asked. We’ve been saving Marvel’s Luke Cage like a disciplined kid saves Halloween candy – knowing, when we finally savor it, that it will be worth the wait. We’d thought it would lift us from a particularly bad day; well, it doesn’t get much worse than this. “Yes,” I said. It was the most excited I’d felt all day. 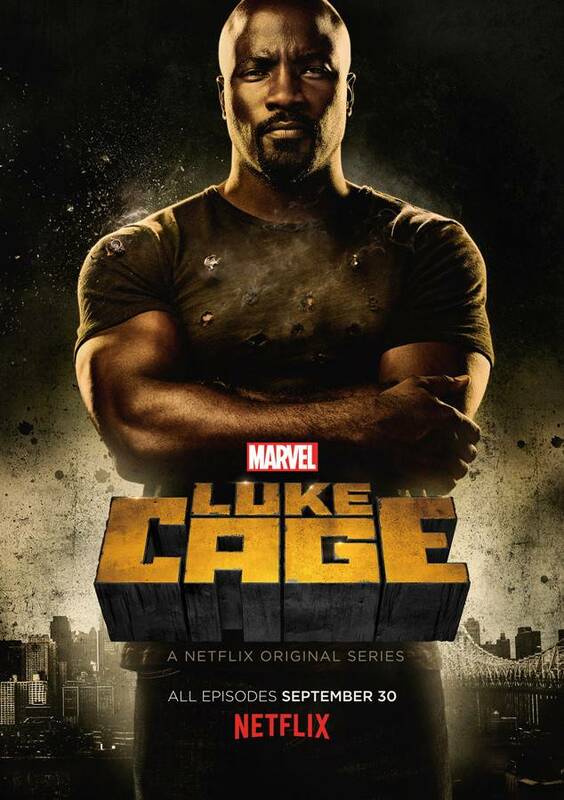 Luke Cage is a superhero with bulletproof skin that protects his straight-up jacked physique. But, although he is impermeable to damage himself, he fears that fighting forces of evil will only bring destruction to those he loves. What’s the point of surviving an attack when it kills those around you? Yet, his mentor Pop argues from the first episode, Luke can’t let fear hold him back. “Never backward, always forward. Always,” Pop tells him. Always forward. As Pop spoke the words on screen, they reached me in a way that words from my real-life friends could not. I felt the fog beginning to lift, just a little. Forward. Always forward. That is the only direction we can move; even when circumstances pull us backward, we can choose to keep moving forward. Luke, too, begins to accept these words. He realizes, I think, that fear will always be there. But the fear can motivate the good. We don’t have to allow it to rule our lives; we can use it as a tool to unite and to fight. I’m still afraid. I’m still terrified of what these events mean for myself, my friends, my family, future generations. I’m not going to be a Pollyanna about this; the next few years will be hell for so many people. It’s already begun for some. And the effects could last for generations. But as the days march on, my vision is beginning to clear. There is a path forward. There is a way to fight for love and inclusion and progress. When they go low, we will go high. And we won’t stop.